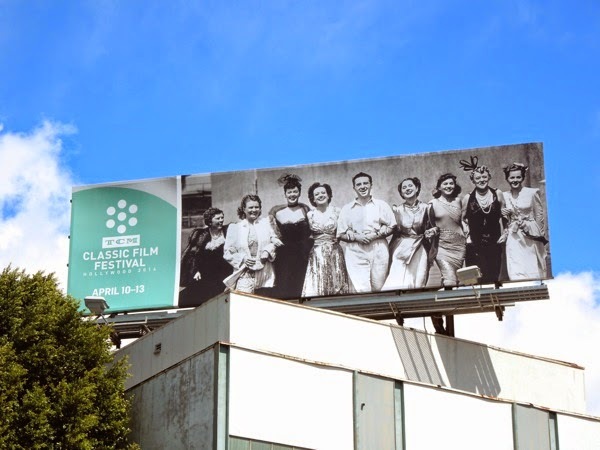 Today it's time to celebrate the glitz and glamour of Hollywoodland of a bygone era with these billboards for the start of the fifth annual TCM Classic Film Festival. 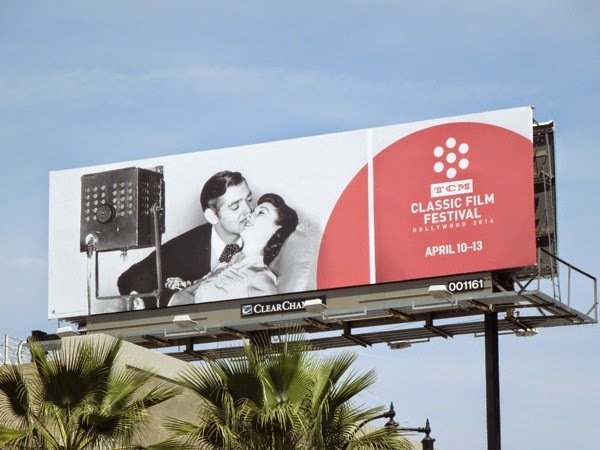 This four-day event in the heart of Hollywood allows lovers of classic movies to enjoy these cinematic treasures on the big screen at iconic venues. 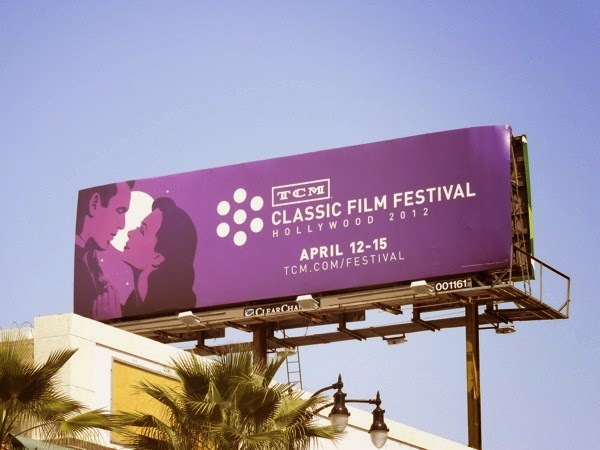 This year the central theme of the festival, which coincides with the 20th anniversary of the Turner Classic Movie Network, is Family in the Movies: The Ties that Bind, showcasing on-screen families of all kinds and exploring the relationships between parents and their children and between siblings, plus the festival will shine a spotlight of the filmmaking dynasties and influential first families of Hollywood. 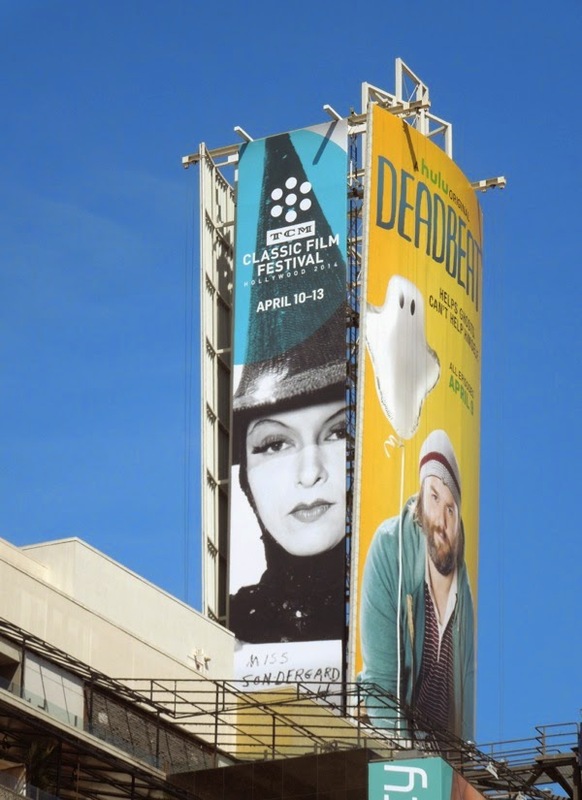 The striking billboard featuring Gale Sondergaard testing for a more sultry 'Wicked Witch of the West' in 1939's The Wizard of Oz (the role eventually went to Margaret Hamilton) was spied together with a Gone with the Wind ad creative featuring Clark Gable and Vivienne Leigh along Hollywood Boulevard on April 3, with another landscape black and white billboard spotted high above Beverly Boulevard on March 26, 2014. 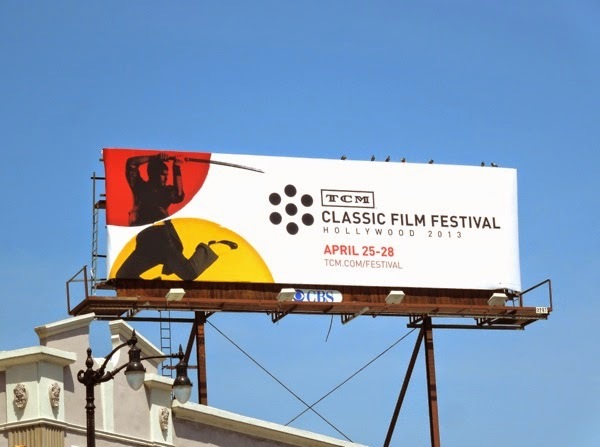 Meanwhile, here's at look a billboard for the fourth TCM Classic Film Festival from April 2013, which had the theme of Cinematic Journeys: Travel in the Movies, hence the martial arts influence. 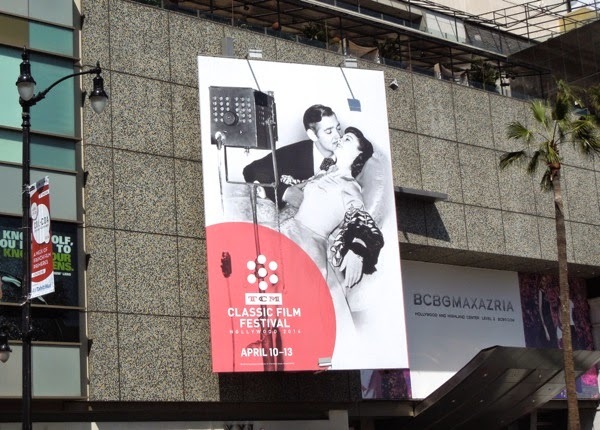 Plus here are three billboard creatives from the third TCM film fest from 2012, which was a celebration of style in the movies, from fashion to architecture to production design. 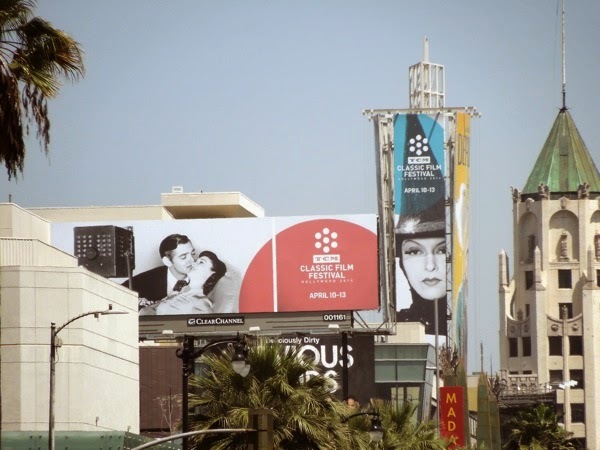 These colourful billboards spied along Hollywood Boulevard on April 5, 2012 evoked such cinematic classics as Casablanca, Breakfast at Tiffany's and Daily Billboard believes, World War I fighter pilot drama, Wings. 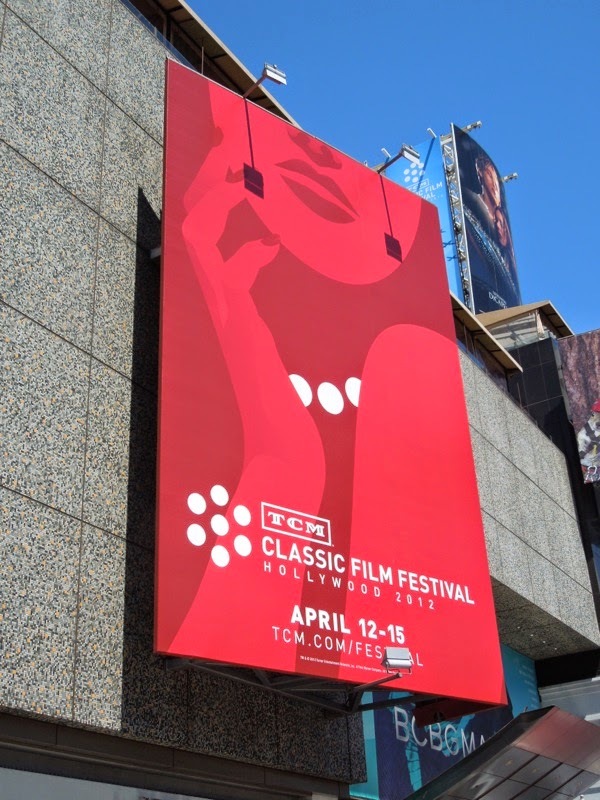 If you like these evocative blasts from the past and are a movie enthusiast, why not check out this year's TCM Classic Film Festival in person. 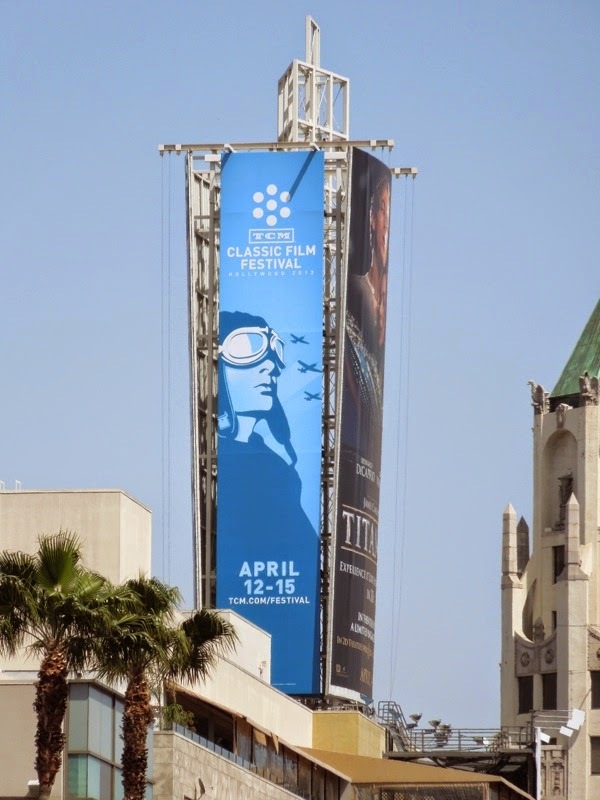 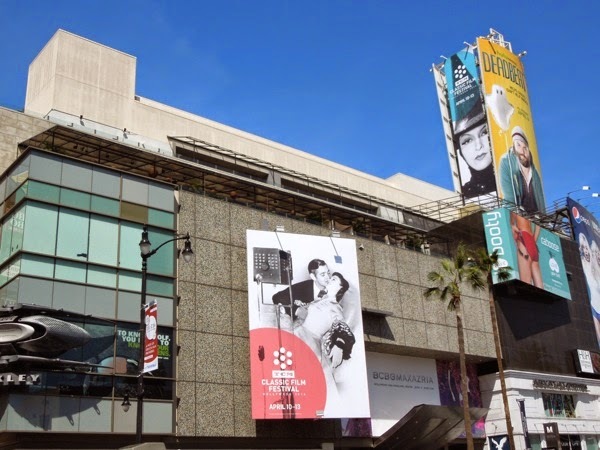 UPDATED: Here's another landscape billboard of the Gone with the Wind creative for this year's film fest snapped along Hollywood Boulevard on April 23, 2014. 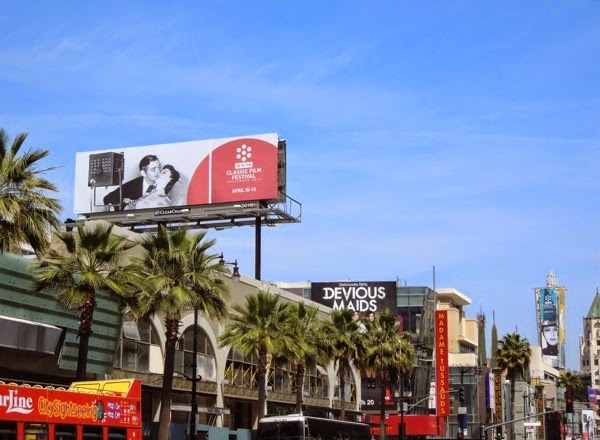 You can also see the cumulative impact on the skyline of these consecutive billboards for the festival in the heart of Hollywood's tourist haven.